The proposed 100-storey Menara Wawasan Merdeka has received pre-booking enquiries for over 60 per cent of its lettable space, according to an industry source. 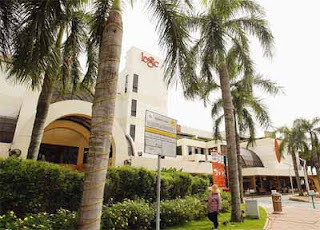 The source said about 30 per cent of the space is being reserved for its developer, Permodalan Nasional Bhd (PNB), and several government- linked companies under PNB’s stable. To be officially launched by year-end, the Menara Warisan Merdeka will cost RM2.5 billion to RM3 billion. It will have gross floor space of 3.0 million sq ft and 2.2 million sq ft of net floor space. This will be followed by two subsequent phases comprising a shopping complex and condominiums. 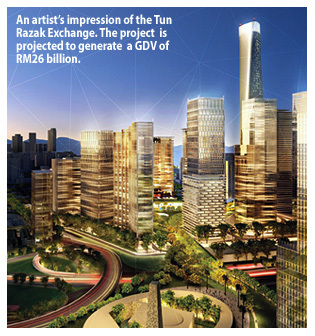 The whole development, to be undertaken over a 10-year period, will cost RM5 billion. Last month, PNB announced that it had obtained the development order from Kuala Lumpur City Hall to build the 100-storey Menara Warisan Merdeka, touted to be the country’s tallest building. PNB president and chief executive officerTan Sri Hamad Kama Piah Che Othman was reported as saying recently that the development order was attached with several conditions, including those related to legal matters. PNB is studying the terms in order to fulfil them and to ensure proper planning as the development order was approved with conditions, Hamad Kama had said. To be located within the Stadium Merdeka and Stadium Negara heritage area, the concept of the 100-storey building, its retail portion and the condominiums was mooted in early 2004 taking into account the need for enhancement of value and effective utilisation of the 7.6ha land adjacent to the two stadiums. In 2005, the master plan was approved by the municipal authorities, followed by the issuance of final titles in 2008. The principal concept of PNB iconic building was then approved in 2009. Since then, PNB has set up a wholly-owned unit, PNB Merdeka Ventures Sdn Bhd, to undertake the project, with Tengku Abdul Aziz Tengku Mahmud, formerly from Guthrie Property Development Holding Bhd and Sime Darby Property Bhd, taking the helm. 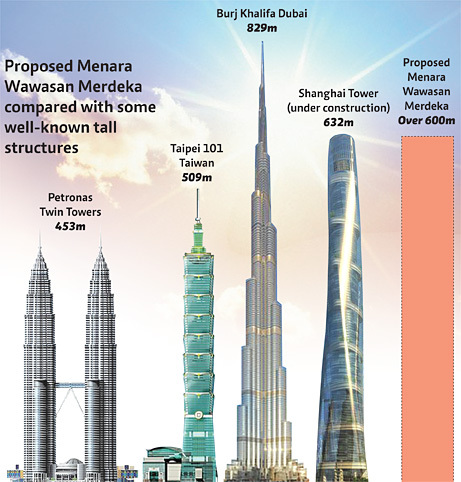 Once completed, the Menara Warisan Merdeka will be over 600 metres tall compared with Petronas Twin Towers at 453m; Burj Khalifa at 829m; and Taipei 101 at 509m. The refurbished BSC is one of BRDB’s prized assets. The buyout of Bandar Raya Developments Bhd (BRDB) is one of the more publicised merger and acquisition exercises of the year for a variety of reasons. For one thing, it started off a year ago as a move by major shareholder Ambang Sehati Sdn Bhd to buy over BRDB's prized assets namely the Bangsar Shopping Centre (BSC), Menara BRDB, CapSquare Retail Centre and Permas Jusco Mall for RM914mil. The deal quickly drew attention, as not only was it a related-party transaction but also because one of the properties targeted by Ambang Sehati was the iconic BSC, a neighbourhood mall which at one time was not doing very well. Following a multi-million ringgit makeover several years back, it became a magnet for the who's who, not only of the corporate world but also Kuala Lumpur's elite. Over the weeks that ensued, attention was drawn to the deal as some commentators reckoned that the properties might be worth more than the offer price. The Minority Shareholder Watchdog Group also drew attention to a 23.57% stake in the company, whose voting rights would have impacted the deal one way or another. The ultimate owner of that stake could not be determined despite queries made by BRDB and the regulators. There was also some grumbling over BRDB's prospects without those prized assets. To be sure though, it isn't clear if there were competing bids for the assets. Possibly due to the negative press that surfaced after that proposal, and faced with questions over whether BRDB was getting a fair deal for the assets, the company and Ambang Sehati decided to call off the deal. That move was seen by some as a credible move by BRDB in the best interest of shareholders. BRDB later said it would conduct an open tender for the assets but that did not materialise. News trickled in over the remainder of 2011 and well into this year of the company's interest and intention to dispose of the assets. At the end of July, Ambang Sehati made a conditional take-over offer to take BRDB private. With this offer, all the criticisms and questions of the earlier deal become academic. With this deal, minority shareholders were being offered a cash price for their stock in the company at a level never traded before. A major reason why Ambang Sehati and many other major shareholders who seek to privatise their listed assets for that matter was making the offer was because the shares and warrants were trading at deflated values. The shares and warrants of BRDB have been trading below the offer price (of RM2.90 and RM1.80 respectively) for the past three years up to July 30, when the offer was made. AmInvestment Bank Bhd, the independent adviser for the deal, which deemed the offer of RM2.90 per share and RM1.80 per warrant as “not fair but reasonable”, had also advised minority shareholders to accept the offer. Year-to-date, the share price has not moved by much, trading in the RM2.30 to RM2.40 range in the past few months before surging above that band following the offer. Besides this, AmInvestment pointed out that the company's shares also suffered from being “fairly illiquid”. It said that from September last year to this August, the average monthly trading volume of 4.42 million shares represented 1.09% of the free float of 406.74 million shares. Should the offer be accepted by shareholders, management would have the breathing space needed to review the operations of the company and make plans for growth. Ambang Sehati has said it would review the operations of BRDB, which might include expansion, disposal and/or redeployment of assets and/or organisational changes. It added that while BRDB would continue to focus on residential projects as well as pockets of commercial development, particularly in the Klang Valley and Johor, there were also plans to expand on the company's presence abroad, especially in the United Kingdom and the Middle East. Furthermore, the asset sale which was aborted last year may come through as Ambang Sehati noted that as part of plans to concentrate on property development, BRDB might divest its investment in certain assets at an opportune time.